Pig and Paint: Fireplace: Up goes the mantel! 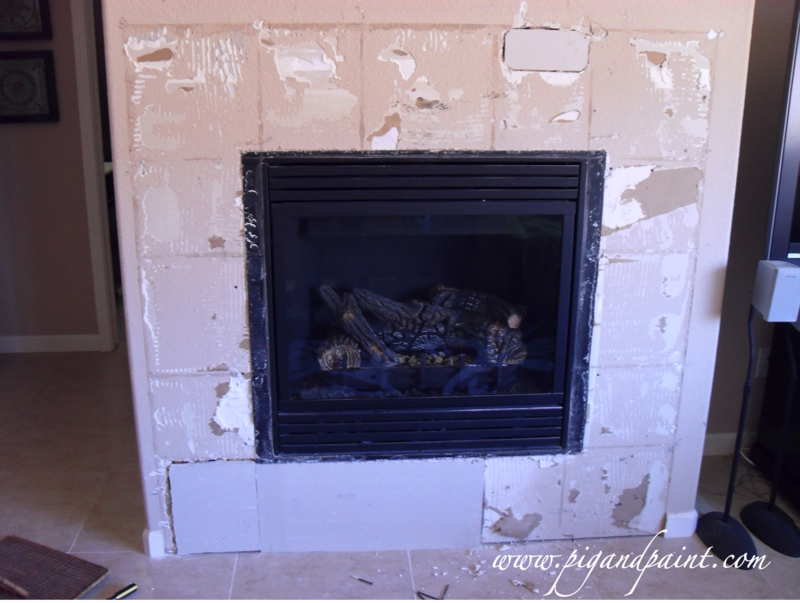 Fireplace: Up goes the mantel! In case you're just tuning in, I recently demo-ed all of the the tile off of my fireplace. I love this porcelain tile on my floors, but not so much on the fireplace -- it doesn't exactly have that wow-factor. My goal for today was to get the holes repaired and the mantel installed. 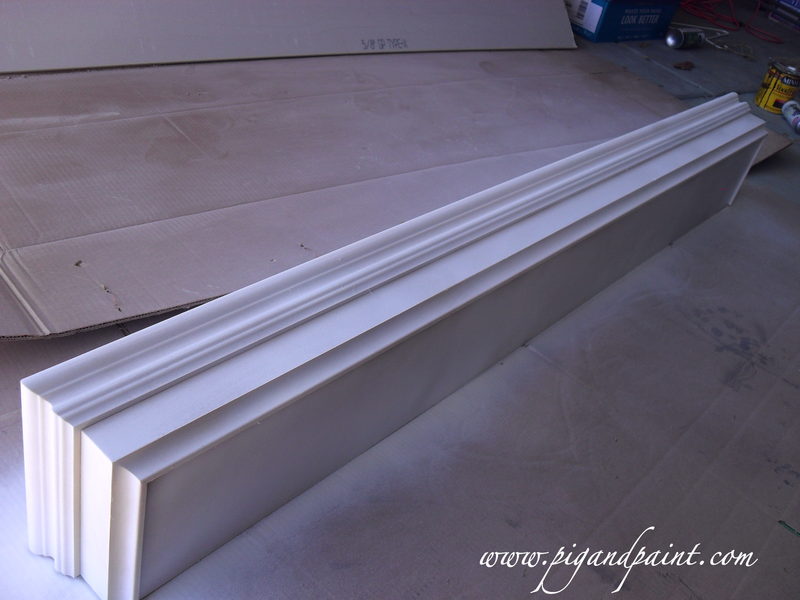 I started by spraying my new mantel, purchased from mantelsdirect.com (I like them), with a spray primer. 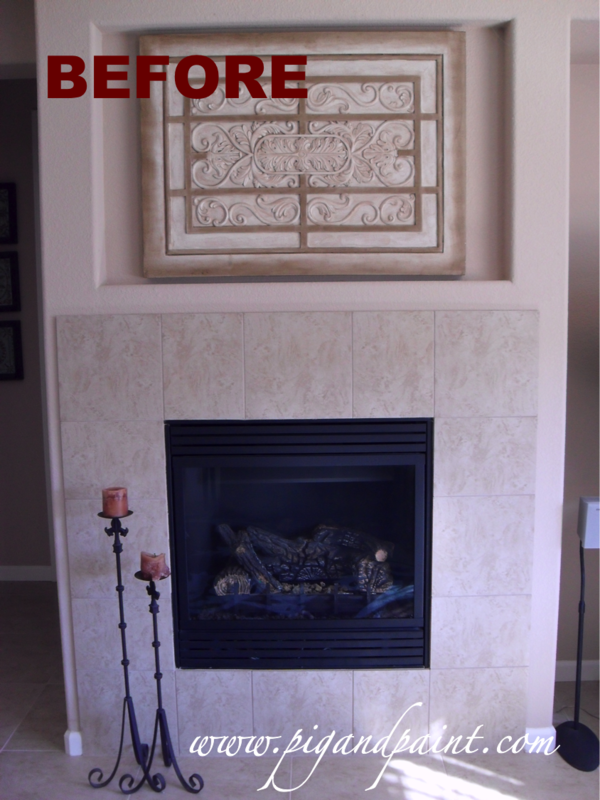 If I may plug Mantels Direct for a moment (and no, they are paying me to say this...I just have had several great experiences buying from them)....I purchased mantels for both of my homes from them. 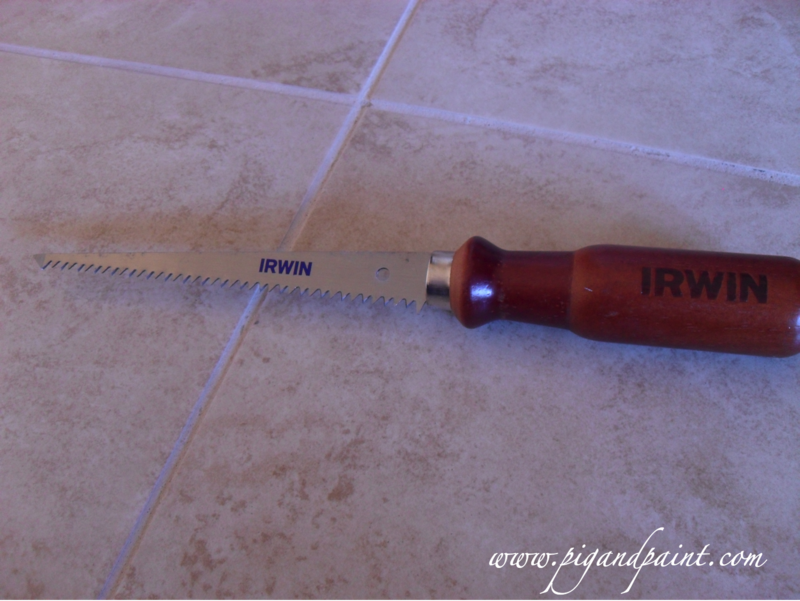 The one that is currently in my townhouse rental was a custom-built piece. The one I purchased for the home I live in now was a stock piece, but is so absolutely gorgeous. They usually ship for free, and the quality and selection are fantastic....and you can customize pretty much every piece they offer to fit your specific dimensions. 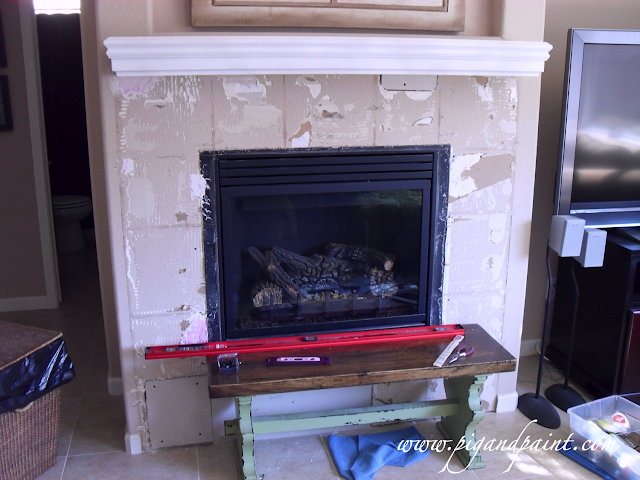 Meanwhile, back at the ranch....I primed my mantel. 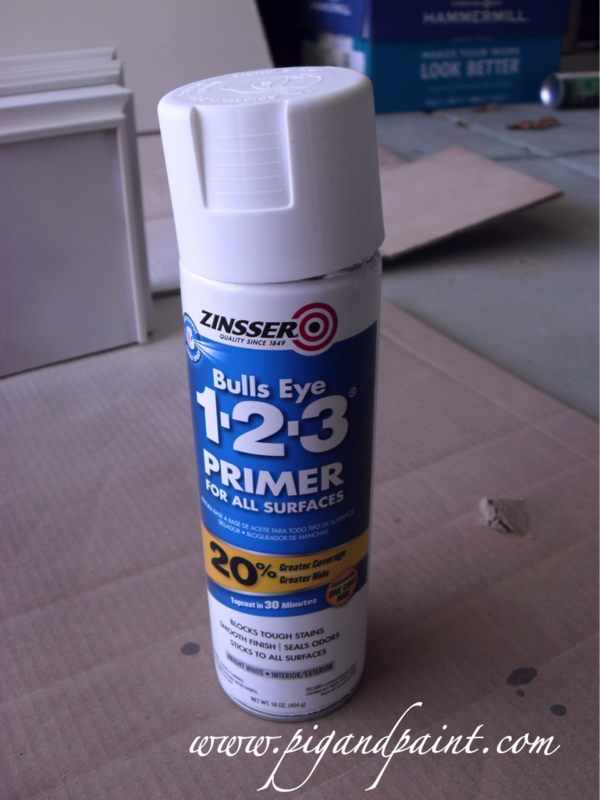 I used Zinsser's Bulls Eye primer, which is a basic, all-purpose primer by a brand I like. Please note, this is not the oil-based version that I usually use. 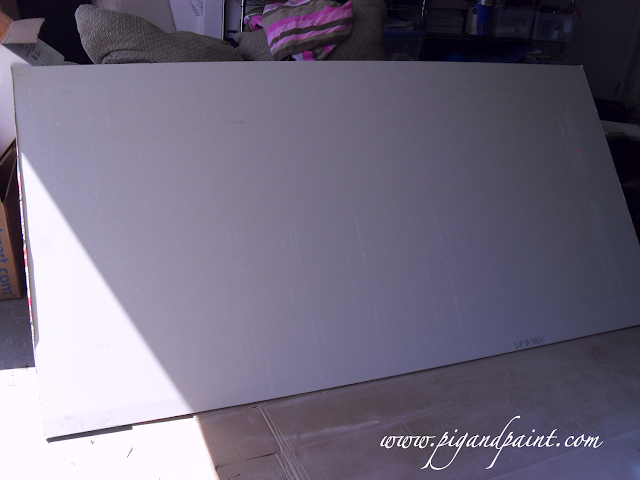 I knew I would be priming sanded, unfinished wood, so I did not need the sticking power of the oil-based version. I had hoped to buy drywall in a smaller size, but my local Lowe's only sold the full size sheets. With the help of my strong-armed husband, we picked up a fireproof sheet of drywall and lugged it home on the Truck of Awesomeness (or the TOA for short....this is what we call my husband's truck). I purchased a cheap-y drywall saw for a few bucks, and started cleaning up the edges of the holes I had created in my walls. I know what you're thinking....I just made the holes bigger. What I actually did was square off the holes, so that I could easily patch them with square pieces of drywall. I also removed any stray drywall screws that were poking out in the exposed area. 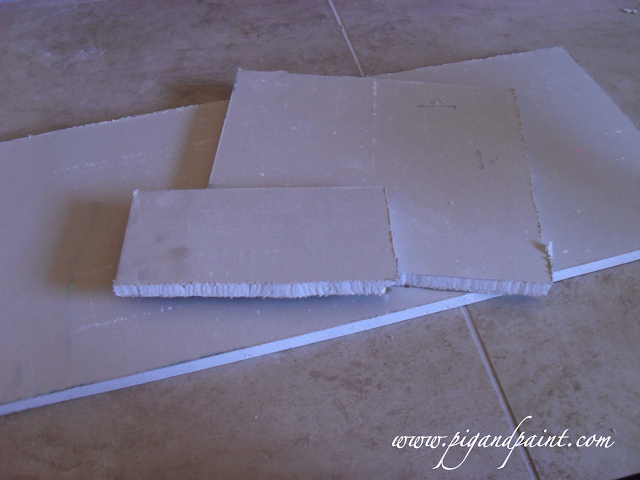 I used my drywall saw to cut out three rectangles. 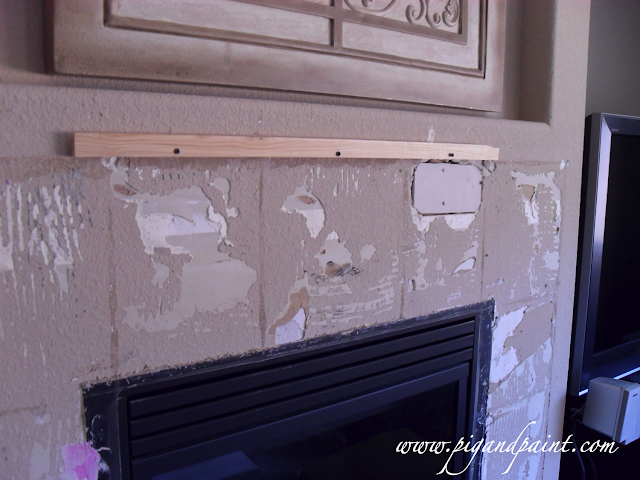 Next it was time to install the mantel. I screwed the mounting bracket that came with the shelf into the studs. And then, with the help of Brian, we plopped the shelf right on top. We ended up having to shim underneath the shelf because the wall wasn't totally level, causing the shelf to lean forward even though it was totally flush with the wall. When you're dealing with moulding and mantels, don't worry too much about little gaps here and there. 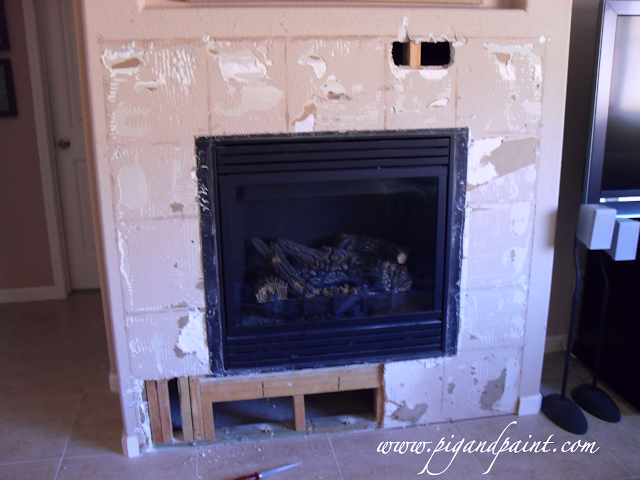 As long as things are level, you can patch those gaps and you'll never notice it again. Here's where I ended up on Day 2. Looking better!